“This is the best salad ever,” said my husband after finishing up his salad. These words are music to my ears! I love making food that my husband devours right up! This salad was the best. I mean it! 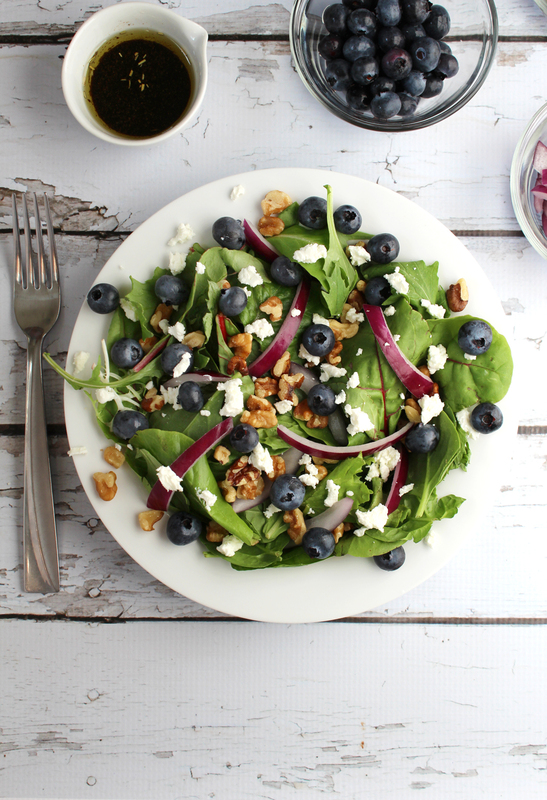 The combination of the blueberries, goat cheese, walnuts, red onions, homemade balsamic/olive oil dressing is superb. 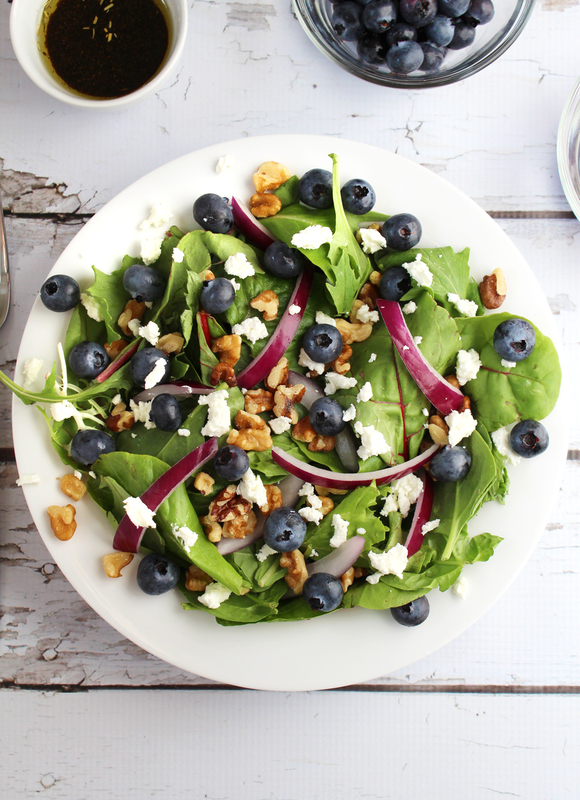 This salad has enough in it to be a meal on its own, it is also simple enough to be a side salad since there is no meat in it. Therefore, it works as either! The key to this salads tastiness is due to the fact that it wasn’t over thought, it was just made of a few really tasty ingredients. I would call this a must try! 1. 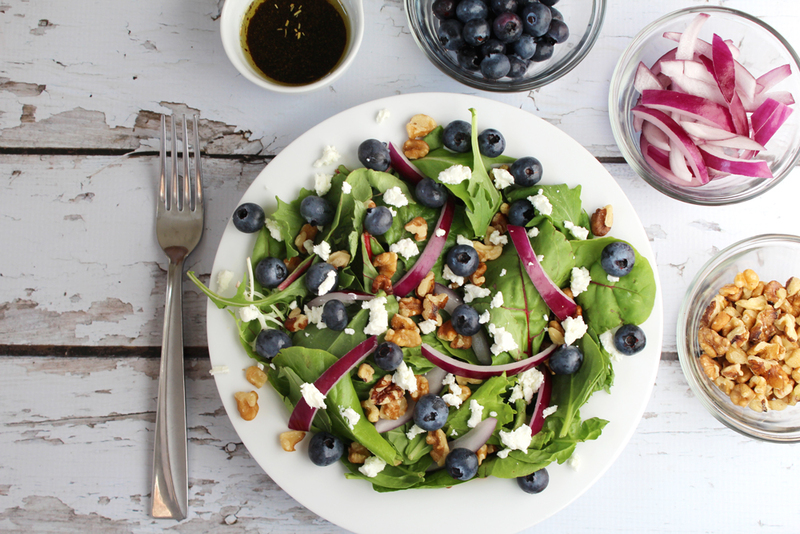 To make the homemade dressing, combine the balsamic dressing, olive oil and salt and pepper to taste. 2. 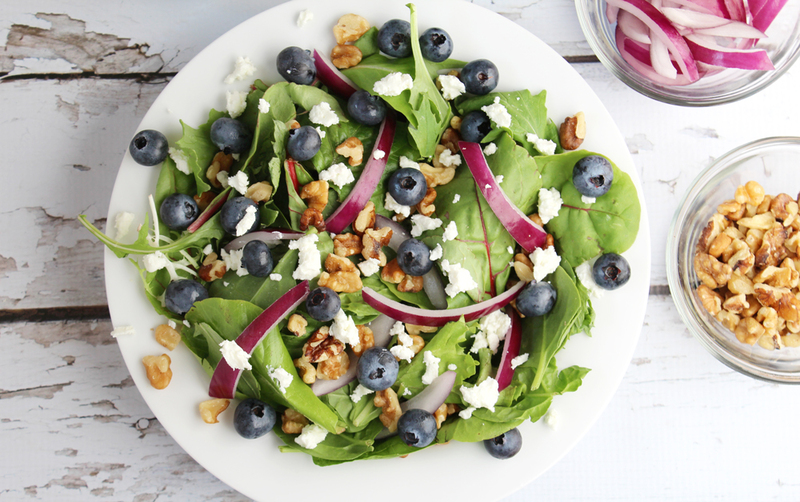 In a bowl, lightly toss the lettuce, walnuts, blueberries, red onion and goat cheese.